The Next Chapters: To be so loved. 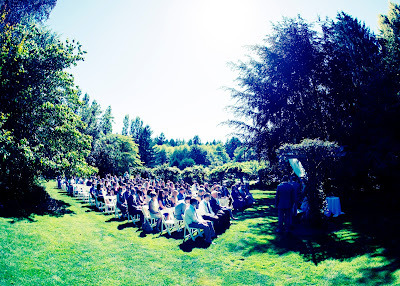 In June of this year, my husband and I shared our wedding day with almost 200 of our friends and family. Although most of that day is a blur, I vividly remember a moment during the reception. We were sitting at our sweetheart table and we looked all around. People were smiling, laughing, and full of love for each other and for us. We were full of love for them. I looked at my husband and I knew we were thinking the same thing. We are blessed. We are loved. Taken during the wedding ceremony in Olympia, WA. Since that day, we have discussed how beautiful yet fleeting that moment was. We thought that emotion was a once in a lifetime feeling. But we were wrong. I felt that same emotion again today. I was once again blessed to experience a gathering of loved ones. It was special for so many reasons. Photo Credit: John Robert, Head of Education for Mustard Seed Academy. Four years ago, I wrote about the celebration for the P-7 class to prepare them for their Primary Leavers Exam (PLE). They were the pioneer students for Mustard Seed Academy. Today we celebrated the fifth class to take the PLEs and that first class as they now prepare to take S-4 exams. The American equivalent is eighth grade and High School graduations. The difference is that in Uganda at these levels in school, students must pass a test (like the SATs) before they can move on. They work very hard to prepare, even board at the school so they can dedicate every moment to their studies. This is a very special bunch of kids. Since I arrived in Lukaya on a Saturday afternoon, I had not yet had the opportunity to see any of my Ugandan friends. When we got out of the car at the event, students and teachers swarmed me, everyone was delighted to see me. I felt humbled by their love. As the 6-hour long celebration went on, each time I so much as glanced at someone, they embraced me with a huge smile and hug. And again, that nearly indescribable feeling overcame me. I looked out over the crowd of smiling, laughing faces. Once again, I could feel their love for me and for each other. And the love I feel for them grew deeper. My jaw and cheeks actually hurt from all the smiles and laughter. I am also feeling proud. Some students came to visit with me during the ceremony and I was taken aback by their poise and articulate way of speaking. Watching them interact with each other was one of the coolest experiences I’ve had here. I knew they were bright, but to be good in addition is truly a testimony to the love and support they have received in this community. As if I haven’t experienced enough emotion for a lifetime, I am feeling something else. Gratitude. I am so thankful to know this community—and to come back after four years and still feel like I am a member. They have played such a special role in my life. I think relationships have the power to strengthen us. With the right people in our lives, we can do great things. Their love gives me confidence. I have learned a lot about community from my friends here. They have also taught me about service. Service to God, to friends and to community. I am grateful to have shared memories with them. I wish I lived closer—I actually forgot the depth to which I love them. When I left in December of 2012, I wrote about how I felt half of my heart would remain behind. Today I had a full heart again. I'm trying not to dwell on the reality that it will only last a week. I reunited with Apio and Asano today! They were the girls who lived next door to me in 2012. They are in fourth grade now. I watched them dance and sing in a school performance with so much pride and admiration. Every time we looked at each other, our smiles spread across our faces. I am humbled that they even remember me. The power AND water have been on the whole time I’ve been here! I’ve only seen two cockroaches. One is dead now and the other remains at large. PS- All is good here... Don't be worrying about work!